Machined to exacting tolerances to give maximum bearing surface in the table slot. To keep from damaging the T-Nut, the mating thread must be threaded as far as possible into the T-Nut. 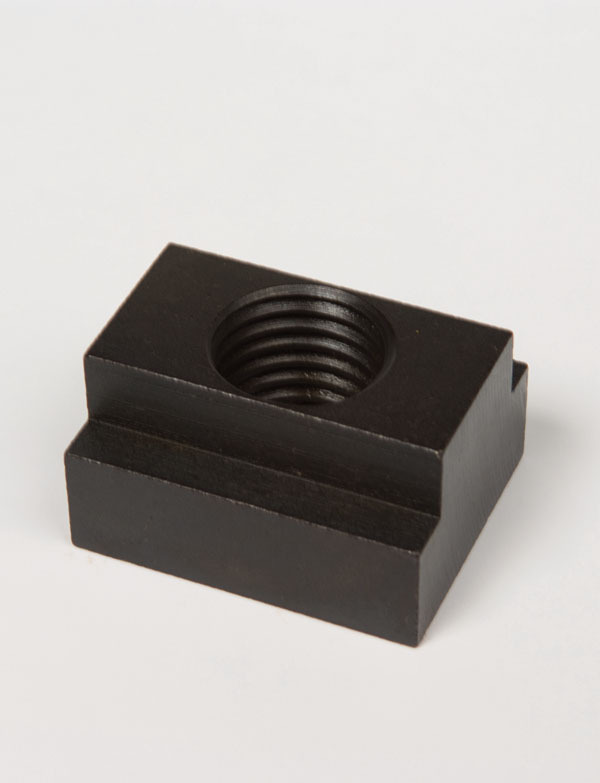 Standard T-Slot Nuts have an incomplete thread in the base to eliminate any danger of screwing the stud through the nut and damaging the table slot.